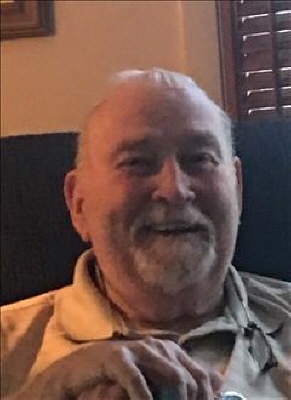 Roger Vernon Hall, age 86 of Jasper, Georgia passed away Friday, January 11, 2019 at Wellstar Tranquility Hospice at Kennesaw Mountain. Roger enlisted in the Marine Corps in September of 1952 during the Korean War and served until October, 1955. He attended Weber Jr. College and upon graduation from Brigham Young University, he attained his B.A. degree. For most of his career he was in sales. Survivors include: wife, Betty Hall of Jasper; sons and daughters-in-law, John and Sharon Hall of Salt Lake City, Utah, Jeff and Vickie Hall of Spring, Texas; daughter and son-in-law, Jane Ellen and Sid Beasley of Canton; son, Bryant Hendricks of Alpharetta; grandchildren, Michelle and Kenny Taylor, Emily and Jeff Buxton, Rachel and Matt Gwilliams, Jonathan Hall, Cliff Beasley, Ross Beasley; great-grandchild, Ruth Buxton; brothers and sisters-in-law, Jay and Ora Mae Hall, Lewis and Judy Hall. He was preceded in death by sons, Craig Hall and Scott Hall; and sisters, LaWanna Wright and Shauna Oglesby. Memorial Services will be held 11:00 a.m., Thursday, January 17, 2019 at The Church of Jesus Christ of Latter-day Saints in Ellijay, Georgia with Branch President Tony Stanley officiating. The family ask in lieu of flowers, donations be made to Wellstar Tranquility Hospice at Kennesaw Mountain; 475 Dickson Avenue NW; Marietta, GA 30064 or a charity of your choice. To send flowers or a remembrance gift to the family of Roger Vernon Hall, please visit our Tribute Store. "Email Address" would like to share the life celebration of Roger Vernon Hall. Click on the "link" to go to share a favorite memory or leave a condolence message for the family.